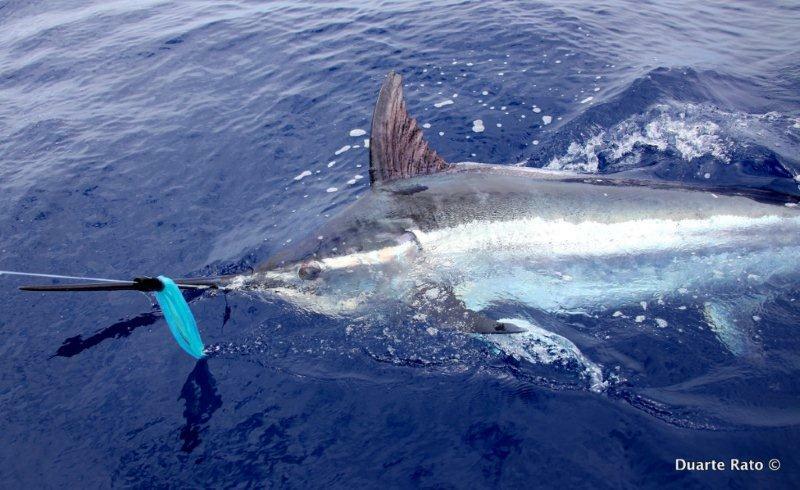 It is said that Australia is fortunate to have such a range of billfish of all sizes along its enormous coast line. 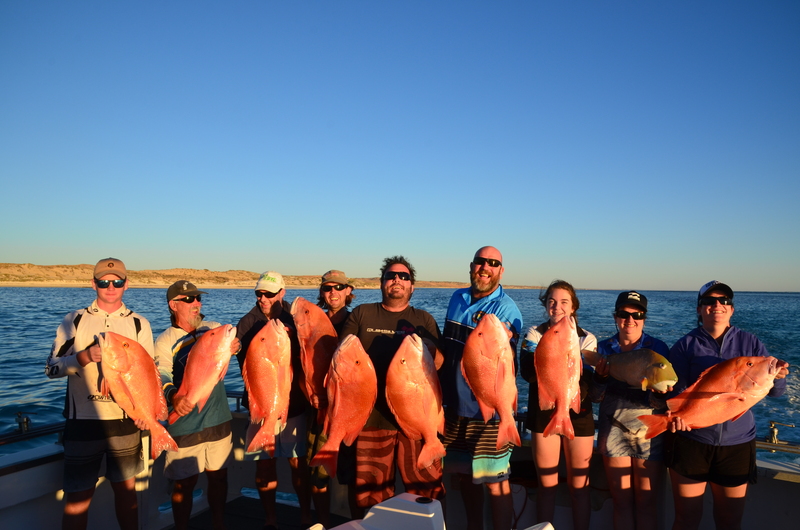 One part being the North West coast on the Ningaloo Reef, in particular the waters off Coral Bay, is no exception. 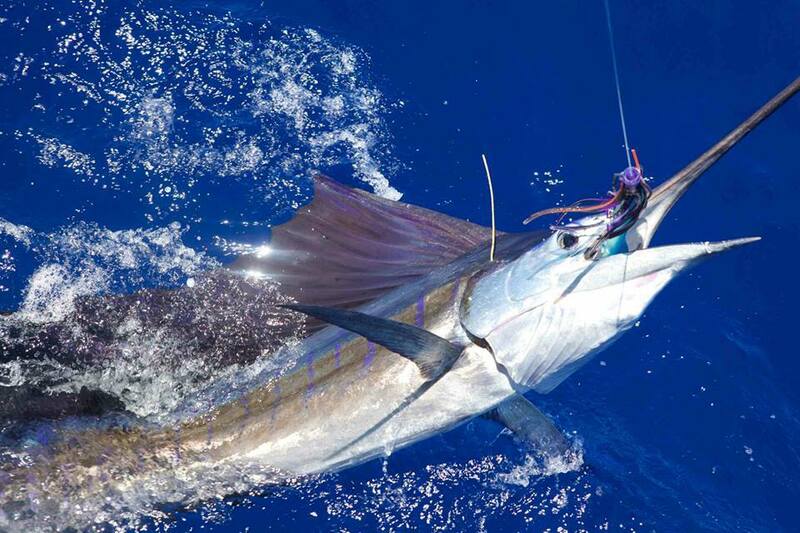 Fishing for billfish such as blue, black and stripped marlin, sailfish and broadbill can be an experience of a lifetime. 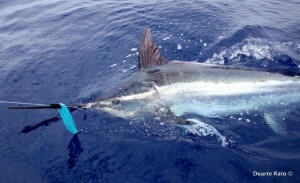 There is something very special and exciting about catching, tagging and releasing one of these ocean wonders. Coral Bay is one of only 5 fringing reefs in the world and offers the visitor more than just a lazy day on the beach. Enjoy not only fishing but, the beauty of the reefs corals and marine life, such as turtles, dolphins, whales, whale sharks, sharks and an abundance of bird life in the area. The Captain & Skipper of the Boats! 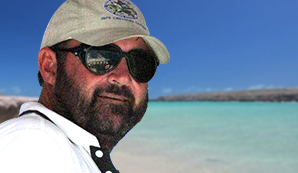 Spending a day on the ocean with Captain Bernie Or Skipper Tony can be an experience in itself. The crew will go through the daily standard routine before setting out for the charter, no matter what species will be targeted; crew will show terms of tackle and preparation for the catch. 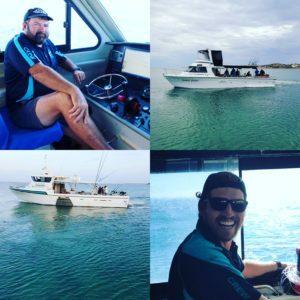 With over 30 years of combined fishing experience and knowledge in the area, both Bernie and Tony will discuss the likely weather conditions and possible encounters and plan what’s needed for the punters best results. 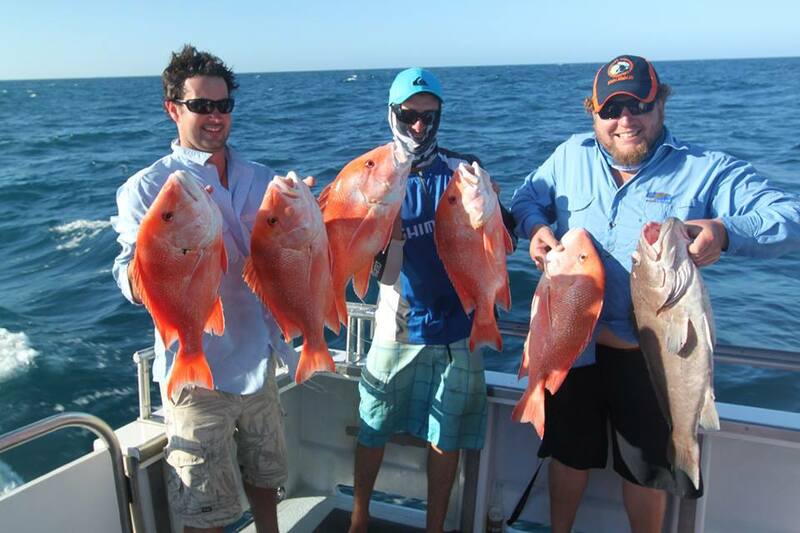 Enjoy a full day fishing off Coral Bay for light game and bottom fish experiencing both types of fishing in one day, or come for an extended half day of bottom fishing only, taking home a bag (State bag limits apply) of scrumptious table fish, such as Red Emperor, Nor West Snapper, Pearl Perch and Ranking Cod. Enjoy the thrill of Sport fishing? We offer Game (light or heavy), Popper, Jigging, Fly and/or bottom fishing. Maybe join the many punters who travel to Exmouth to compete in the annual Game Fishing Tournament, GAMEX. Spoil yourself and experience an amazing Ruby/Marlin 3 day/2 night live-aboard charter. We also offer overnight trips that can accommodate up to 6 single persons or a family of up to 6 people. Group charters are a speciality and can be tailored to suit up to 10 punters out of Coral Bay. Enjoying the delights of the Ningaloo Reef, bottom fishing, game fishing, exploring the reef swimming, snorkelling, diving or just anchored up in one of the many tranquil Bays watching the sunset after an exciting day fishing, enjoying a drink and discussing the days catch. We offer a choice of either an Alvey snapper winch or Shimano over-head Rod and Reel, both with top of the range tackle. We also offer the choice, if preferred, to bring your own rod on the day. (braided line, no mono). All bait and ice is provided. 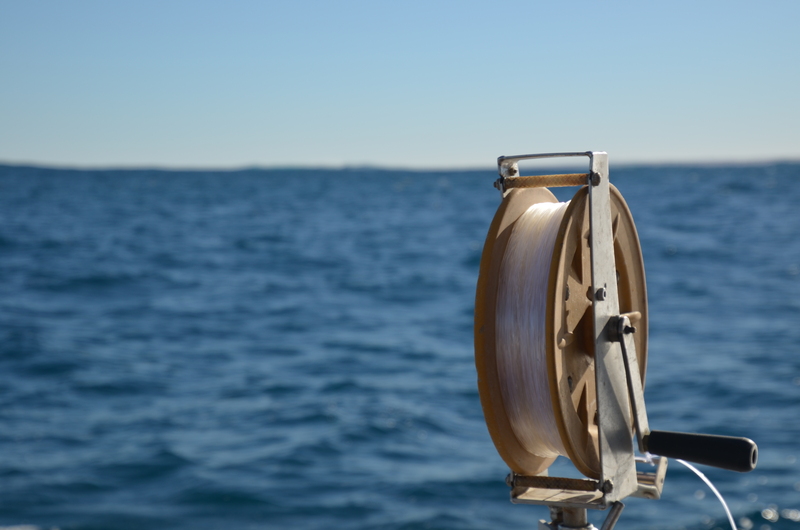 **NOTE – Limited spaces available for rods on Full and Half Day Fishing Charters. ** If a Rod is preferred or you wish to bring your own please select on booking. 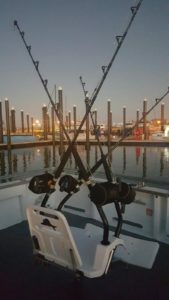 ALL RODS ARE SUBJECT TO THE SKIPPERS DISCRETION ON THE DAY.